When it comes to grooming your dog, you don't want to forget their ears because yeast can build up and cause issues that only get worse the longer they go unchecked. 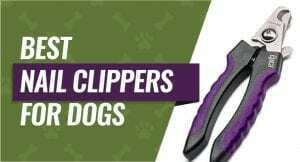 However, there are dozens of ear cleaners available, and this can make it very difficult to pick up the best dog ear cleaner available. We understand this, and this is why we've done the research for you and rounded up the top five dog ear cleaners for you to compare. 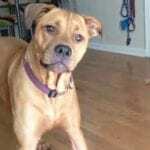 We've also put together a guide, so you understand why you want to clean your dog's ears as well as what to look for in your new dog ear cleaner. Just like humans, your dog's ears have wax and debris that can build up in their ear canal and cause irritation, inflammation, pain, and swelling that can develop into a full-blown ear infection if you don't treat it. Since your dog has deeper ear canals are deeper than a human's ear canal, and they have more nooks, debris and wax can build up faster and cause problems without regular cleaning sessions. Unfortunately, not cleaning your dog's ears regularly can have some long-term consequences for your dog, and they're entirely preventable. You can catch the infections faster by routinely cleaning and examining your dog's ears, and this can reduce the damage. Every time your dog goes outside, they're exposed to airborne allergens that can get into their ear canals and cause irritation or itching if your dog is allergic to them. Your dog will shake their head or scratch in response, and this can irritate the area more or even cause sores. As we mentioned, dogs are prone to getting ear infections, particularly breeds with floppy ears (Beagles for example) because they tend to retain a lot of moisture. 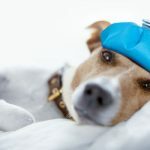 Infections can quickly spread deep into your dog's ear canal and cause damage to their eardrum, and infections typically bring pain, redness, and swelling that can get worse the longer the infection goes on. While hearing loss is common in dogs as they age, ear infections can cause premature hearing loss in younger dogs that can affect their quality of life. 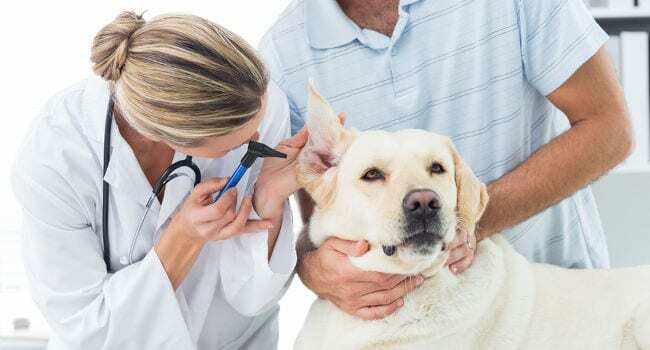 Waxy buildup is another cause for hearing loss in dogs, and it typically takes a while from the start of the infection or buildup to get to the hearing loss stage. It's usually cats that get ear mites, but they can travel to your dog's ears and drive your dog crazy because they itch way inside of your dog's ear. You can treat them with specific medications, but ear drops are also effective at killing the mites and removing them from your dog's ears. One of the first signs that there is something wrong with your dog's ears is swelling and inflammation inside of your dog's ear. There are dozens of small areas in your dog's ear canal that can get packed with wax or yeast, and this can lead to irritation that gets worse as more things build up. Yeast infections are very common in dogs of all ages, and they can happen on your dog's outer ear as well as down inside the ear. 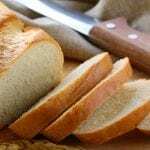 This can make them difficult to treat, and most yeast infections come with a distinct odor, and they also cause your dog to rub or scratch at their ears as the infection gets worse. One of the first things you'll notice when you start looking at dog ear cleaners are the types. There are two broad categories for dog ear cleaners, and they include wipes or a drop that goes inside of the ear canal. Drops: Dog ear drops resemble human eye drops, and you drop them into your dog's ear canal and gently massage it to help break up any wax or yeast before you wipe it out. They're good for inner ear infections, and they usually fight against wax, viral infections, bacterial infections, and yeast infections both inside and outside of your dog's ear. Wipes: Dog ear wipes are like human wet wipes, and they're meant to clean the outer layer of your dog's ear, and not inside the ear in the canal. They're cleaner than drops, but they don't clean as far into your dog's ear so they may not be able to get all of the infection. The entire process of cleaning your dog's ears is usually fairly easy and straightforward. It depends on how well your dog tolerates you poking around in their ears, but most dogs don't seem to mind it, and they may even enjoy it! Get all of your supplies and bring them along with your dog to a well-lit area of your home. Flip your dog's ears up if they're floppy and clean all around the outer area of the ear with wipes or drops put on cotton balls. Before you pour a few drops of the cleaner into your dog's ear, gently straighten it by holding it out toward you. Add a few drops of the cleaner into your dog's ear canal and massage it to make sure it gets through the entire ear canal. After 60 to 90 seconds, encourage your dog to shake their head to remove most of the cleaner. Get wipes and remove any excess fluid and repeat the process on the other ear. This ear cleaner comes in sizes ranging from 1.25 ounces up to 8 ounces that lets you personalize it to suit your dog's needs, and this ear cleaner is also great for both new and chronic ear problems because it helps to reduce inflammation and swelling inside the ear. Your dog will get hydrocortisone formulated into this ear cleaner that helps to soothe any itching your dog may have, and it's powerful enough to kill and keep nine different types of bacteria, viruses, and yeast. 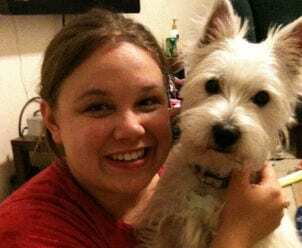 The bottle has an elongated nozzle that makes it easy to get the medicine into your dog's ear canal, and you apply it once a day for seven days to clear up any infections and keep them away. Dog owners were happy that this ear cleaner seemed to work and give their dog relief very quickly, and they were also pleased that this ear cleaner stopped the itching so their dog's ears could heal. Some owners noted that this ear cleaner has a strong smell when you first apply it that seems to linger, and they also noticed that it left a slightly oily residue on their dog's fur. This ear cleanser is great for puppies and dogs as a pre treatment before medicated drops and for routine ear cleaning, and this ear cleaner is gentle enough to use on dogs with active ear infections. Your dog will enjoy this mild solution, and it's convenient for you as well because it dries quickly so you don't have to wipe it out. You can purchase this ear cleaner if four different sizes ranging from 4 ounces up to 24 ounces, and it's gentle enough for everyday use. If you don't want to use it each day, you can use it two or three times a week for routine cleaning to keep infections from taking hold. Dog parents were happy that they could use this ear cleaner each day as well as a few times a week for routine maintenance, and they were happy that it dries on its own without leaving a residue. They didn't like that it doesn't actively fight ear infections, and it is a slightly more expensive option for what size you get. This is a natural dog ear cleaner with a fast-acting formula that can start working in two or three days and clear up your dog's ear problems within a week. It's effective against wax buildup, grime, gunk, viruses, yeast, and bacteria that can cause ear irritation or infections. This ear cleaner contains an all natural formula that is free of synthetic chemicals, pharmaceuticals, steroids, antibiotics, or solvents, and this makes this natural ear cleaner a good option for dogs who have sensitive ears, skin, or who are prone to problems with allergies. Dog parents bought this ear cleaner and were happy that it has a natural formula that is good for dogs with allergies, and they were also pleased that this ear cleaner worked quickly to take care of buildup or infections. Dog parents who bought this ear cleaner weren't pleased that this ear cleaner may take several treatments to fight off an infection. This ear cleaner is formulated to get rid of dog ear infections caused by yeast, viruses, or bacteria in as little as a week, and it contains prescription-grade antifungal, antiviral, and antibacterial ingredients that help flush out your dog's ears. As well as in your dog's ears, you can also use this cleaner on your dog's skin issues or infections. 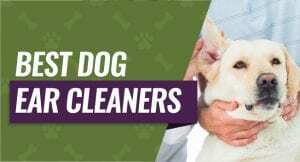 If your dog has oily patches, rashes or hot spots, you can use this cleaner to soothe the irritation and let it heal because it has aloe formulated in. This cleaner also deodorizes your dog's ears to leave them smelling fresh, and it comes with a satisfaction guarantee that allows you to send it back any time. Pet owners who tired this ear cleaner liked the convenience of being able to use it in their dog's ears as well as on their dog's skin for irritation or rashes, and they liked the fresh scent. However, they said that this cleaner could leave a slightly greasy feel in their dog's coat. These cleaning wipes contain aloe and eucalyptus that helps to soothe inflammation and repel ear mites, and these wipes work to reduce wax build up, remove debris, and cleans around your dog's ears as well inside them. You get 100 wipes in each order, and these disposable wipes are good for dogs over 12 weeks old. These ear cleaning wipes are manufactured in the United States, and they're also monitored to ensure that they comply with Federal regulations for quality and safety. You use this ear cleaner once a day, and you simply rub your dog's ears until the pad comes back without any dirt or debris. Dog owners who bought these ear cleaning pads liked that you get 100 in each order, and they liked that these pads contained aloe and eucalyptus to help repel ear mites. Dog owners who tried these ear pads didn't like that you couldn't use these pads on the inside of their dog's ears. Our pick for the best dog ear cleaner is Pet King Brands Zymox Otic Pet Ear Treatment because it works well for both new and chronic ear problems and infections. It works to get rid of the cause of the ear infection, and it also reduces pain and inflammation while doing so. It comes formulated with hydrocortisone that gives your dog some relief from itching, and this can help your dog's ears heal quicker because you don't won't irritate the area further. Finally, it's also very easy to apply and use on your dog.